Product Includes - Computer, battery, AC adapter, power cord, Windows OS and optional configurations. Paper manuals not included. Electronic versions are available online. 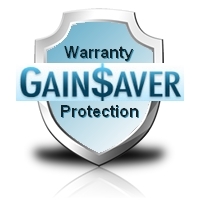 Please call GainSaver at: 1-800-844-4051 if you have any questions. Features- Refurbished Getac V110 fully rugged convertible notebook is the best convertible weve ever made: It features best-in-class performance, industry-leading security, a large 11.6 widescreen display and a design that is as thin and light as ever  at 4.36 lbs. light and 1.26 thin.